Mick Jenkins. Photo by Leon Laing. 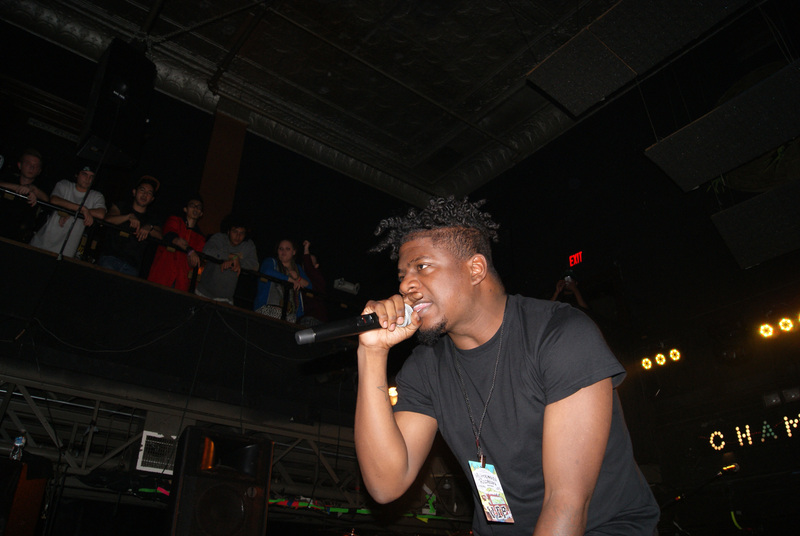 When I met Mick Jenkins backstage, I told him he reminds me of Jay Electronica. With voices as deep as James Earl Jones’, both rappers write thought-provoking lyrics against a backdrop of melodic beats. Jenkins opened up for Redman and Method Man at Lancaster’s Chameleon Club on Oct. 17. “Rain,” one of the songs from Jenkins’ setlist, samples Missy Elliott’s “The Rain (Supa Dupa Fly).” Like Method Man, the Chicago-based lyricist stands more than 6 feet tall. His music and appearance are the polar artist opposite of mainstream. The preppy dresser was clad in a shirt jacket, T-shirt, skinny jeans and high-top boat shoes. “I wear what I like,” Jenkins explained.